Skunk2’s all-new H2K Intake Manifold Adapter and K2B Throttle Body Adapter now offer H-series enthusiasts even more flexibility. Thanks to Skunk2’s 6061-T6 billet aluminum adapters, any K-series intake manifold, including Skunk2’s Pro Series manifolds, can be bolted onto any H22A cylinder head, and any B/H-series throttle body can be bolted onto any RBC-style K-series intake manifold. K-series intake manifolds feature shorter runners and larger plenums when compared to H-series manifolds, yielding better performance as well as increased hood and firewall clearance. Skunk2’s K2B Throttle Body Adapter makes the H2K intake manifold conversion even easier, allowing most B/H-series throttle bodies to bolt directly onto any RBC-style intake manifold, including Skunk2’s Pro Series Intake Manifolds. Now reuse your existing B/H-series throttle body assembly for a quicker, less expensive alternative to sourcing a K-series throttle body, MAP sensor and TPS. 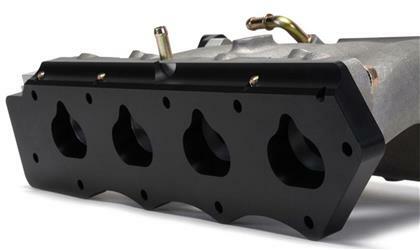 H2K Intake Manifold Adapters fit seamlessly in between the manifold and cylinder head for a factory-like look. 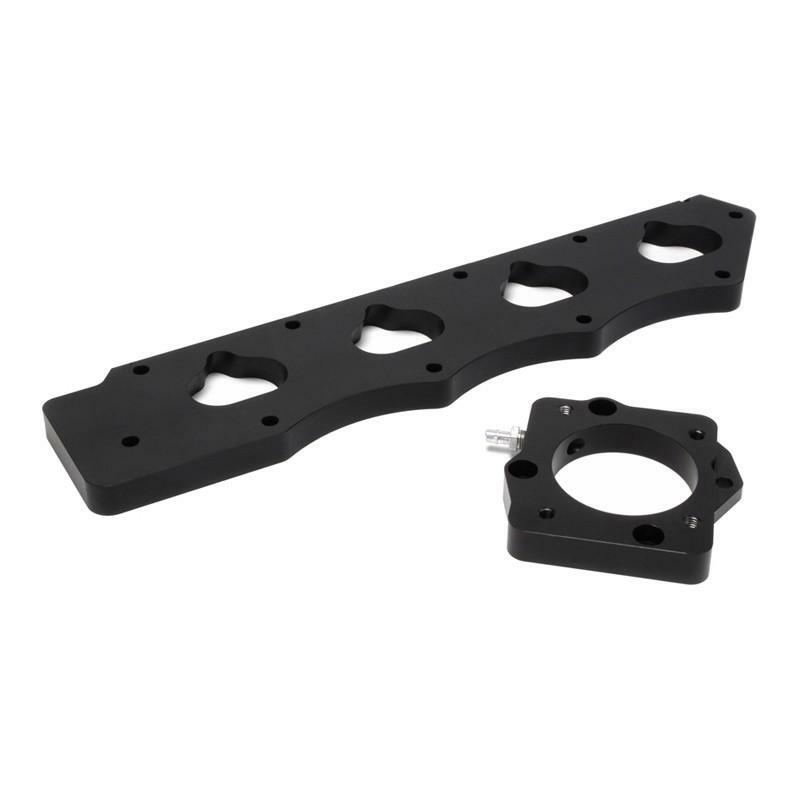 Each unique, CNC-machined and hard-anodized intake manifold and throttle body adapter features recessed holes for easy adaptation. All necessary mounting hardware is included with each adapter, making for an easy installation. Skunk2’s H2K Intake Manifold Adapters are designed to work with all K-series intake manifolds in most vehicles with most engine mount kits, however, only RBC-style manifolds are compatible with Skunk2’s K2B Throttle Body Adapter.